Your source for information about extracurricular class and program choices! This listing is provided for your reference only. Please research carefully and choose the company that meets your family’s needs best. Aliki’s Art House - a space and place where fun begins! Aliki’s proven step-by-step system teaches students of all ages how to draw in a variety of styles from realistic to abstract, while exploring a wide range of media. Learning how to draw will help improve a student’s concentration, attention, visual skills, problem-solving, and creativity. Our teachers are artists who are passionate about art education. Visit our website for creative experiences for all ages (i.e., children, teens, and adults). We offer everything from one-day workshops to year-round classes. 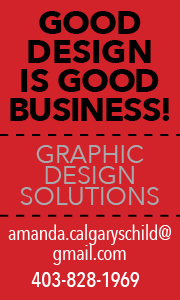 Tap into your creative side with The City of Calgary! Our North Mount Pleasant and Wildflower Arts Centres have a wide range of affordable and quality arts programs including dance, drama, drawing, ceramics, printmaking, and glassblowing. Each program is taught by practicing artists and expert instructors. Whether you’re looking for beginner or advanced programs, we have something for everyone! Visit calgary.ca/register or contact NMPAC@calgary.ca or WFAC@calgary.ca. Passion for Glass studio reveals the many creative possibilities in fused glass. After a short presentation about how to safely work with glass, experience this magical medium by exploring shapes, colors, and textures in designing your own unique pieces of art. Passion for Glass is the only Calgary glass studio to offer in-studio or mobile service for all ages. Passion for Glass provides workshops, team-building events, birthday parties, and field trips for school and community programs. As Canada’s First Pinterest inspired studio, we offer over 60+ projects to choose from complete with embellishments and creative help to complete your project. Don’t miss out on our fall and winter programming including our children’s art history program, Little’s Art University! We offer two age groups and class times as well as an additional program just for Teens! Drop in any time or make a reservation. Looking for a creative outlet? Do you want to develop your inner artist? Join us for our private and group classes in art, dance, drama, and music! We offer weekly after-school classes for preschoolers through adults. We also have a children’s and youth choir. All of our classes are taught by professional artists who love teaching. Sign up for a semester at a time or for the full year. Sign up for one class or multiple classes all on the same day and at the same location. Sign up today; space is limited! A different kind of learning. A powerful kind of fun. Young Rembrandts! Inspire your child’s imaginative spirit and bolster educational skills that will benefit them all year long. The secret to our success is that children already love to draw - we take their love a little further, by giving them a solid foundation that takes their drawings from doodles to confidence-boosting achievements. Preschool, Elementary, and Cartoon weekly classes, workshops, residencies, and birthday parties. Over 25 years’ experience. Ready for the next step in growing your child’s skills, talents, and love of life? The cadet program is for youth ages 12 through 19, interested in flying, survival skills, physical fitness, public speaking, and leadership. In the air cadet program, kids make lifelong friends from all over the country. Cadets meet once a week (or twice a week if you choose optional training opportunities). There is no cost to join! Calgary Humane Society Youth Clubs are a fun way for youth to be involved in helping animals during the school year! Club members interact with the animals, play age-appropriate games, and engage in shelter activities all while learning about leadership, compassion, care, and respect. Register online now or find out more about our three age-appropriate clubs! No two days in Guiding are the same! With the widest range of activities and units in every community, Guiding gives girls a chance to try different experiences every time. If your daughter is looking for fun and friendship, make sure she joins us today. Girls ages 5 to 17+ welcome. Women Leaders are needed in all communities. Volunteer today. For more than 100 years, Scouts Canada has brought a world of adventure, outdoor experience, friendship, and fun to 17 million Canadian youth. Scouts have fun youth-led adventures discovering new things and experiences they wouldn’t discover elsewhere. Along the way, they develop into capable, confident, and well-rounded individuals, better prepared for success in the world. Scouts is the start of something great! It starts with Scouts. SOLE GIRLS YYC - EMPOWERMENT PROGRAM FOR GIRLS! Empowerment for Girls ages 6 to 12! Strong, inclusive, confident girls become inspiring leaders. Join Sole Girls YYC to make new friends, have fun getting active, and release your inner awesome! Sole Girls YYC empowers girls with tools to help develop healthy ideas about body image, media, healthy living, peers, and self-esteem. Come out and learn to sparkle, be fearless, and be healthy! Conveniently located in Kensington, this interactive culinary centre provides a fun, active, hands-on environment with cooking activities that focus on natural ingredients and a really big “Yum” factor. We’re changing the way we eat! These aren’t your typical kiddie cooking classes. Parents and children cooking together is the recipe for lifelong healthy eating habits. Various programs for kids starting at ages 4 to 14 and teens in multiple Calgary locations. Kids can discover their inner foodie in our PD Day Cooking Boot Camps during the school year. We haven’t forgotten about cooking, canning, and gardening classes for our adult crowd! Check the website for locations and schedule. Absolute Dance is Calgary’s leading studio in dance. We offer recreational and competitive high quality training in Hip Hop, Acro, Contemporary, Musical Theatre, Ballet, Jazz, and Tap from tot to adult. We pride ourselves on our enthusiastic and qualified teachers and great customer care. Come check out our state of the art facility, and join us as we celebrate 21 seasons of dance and inspiration. Whether trying dance for the first time or seeking top level training for your aspiring dancer, the Alberta Ballet School, the official training school of Alberta Ballet, has programs for everyone. Recreational dance for all ages and abilities with full year and sessional programs available. We also offer intensive programs (for ages 6 and up) tailored for dancers pursuing a higher level of dance training. Conveniently located downtown, close to amenities. Counterpoint Dance Academy Marda Loop has operated in the dynamic community of Marda Loop for 17 years, offering an extensive array of programs for children ages 2 to 18. Dance disciplines include Ballet, Jazz, Tap, Lyrical, Contemporary, Hip Hop, Acrobatics, and Musical Theatre. Our community of invested professionals develop the technical skills of dancers in a fun, nurturing environment while building life skills of discipline, focus, work ethic, compassion, and community interest. Located two minutes west of northwest Calgary, our family-oriented studio is perfect for recreational and competitive dancers. Classes are held Monday through Thursday, allowing families to enjoy their weekends together. Our studio offers full year classes in all genres and sessional classes for adults, homeschool students, and preschoolers. We offer exams through RAD, CDTA, ADAPT, and Acrobatic Arts. Many of our competitive dancers will be performing at Disneyland this season! Celebrating 33 years, Dance with France (DWF) is a high-energy performing dance studio! Offering numerous dance lessons for ages 3 to adult, our mission is to provide positive experiences, self-confidence, passion for dance, and performance! DWF provides fun performance opportunities, two big shows per year, recreational and competitive classes, birthday parties, summer camps, studio rentals, and more. Be a part of an amazing dance family! Dance classes and camps for youth ages 2 to 18. DJD offers something most other dance studios don’t - a fun, non-competitive environment - which means the focus of our classes is on learning to love dance, not learning specific moves for a recital. Our experienced and exceptional teachers know how to guide and encourage your child in their transition from beginner to advanced dancer. Dexterity Dance Studio offers recreational and competitive dance programs for children and adults! We have fabulous programs for our twinkle babies, their rockin’ siblings, and even their groovy parents. Our styles include ballet, jazz, tap, hip hop, lyrical, acro, and more - all taught by certified and professional teachers in a high-quality studio environment. Dexterity is a brand-new studio in Chestermere, Alberta, and we cannot wait to dance with you! Do you love to dance? At Evolutions School of Dance, we recognize that people study dance for many reasons. We offer programs for every dancer, no matter their age, level, or ability: sessional, recreational, regular, and competitive classes. Our dance educators bring high levels of experience and education, and classes are technically and developmentally-appropriate for all ages! Located just three blocks from Chinook Centre! Join our dance family today! FREE HOUSE DANCE PLUS LTD.
A happy, engaging, positive experience - that’s what you want when you enrol your kids in a dance program. Dance is Serious Fun here! We welcome, engage, and inspire kids, teens, and adults. With a credible reputation in the dance community that spans 32 years, we bring our best to the classroom and provide everyone with an educational and high caliber dance experience. WeeBop™, Ballet, Jazz, Modern, Lyrical, Tap, Musical Theatre, Hip Hop, Highland, and more! A past Parents’ Choice Awards Winner! Come dance with the best as we celebrate over 40 years of dance education from the inside out. MWDA has a mandate to develop strong technical skills hand-in-hand with the joy of artistic expression within ‘the non-competitive philosophy.’ Shana Bachynski Eriksen, A.R.A.D., R.T.S., and a staff of very knowledgeable, qualified, and dedicated dance educators offer a variety of dance classes. At Pure Motion Dance Company, we believe every child has the opportunity to explore the world of dance for its pure enjoyment and personal artistic expression. Our philosophy is founded on the premise that all students deserve full commitment from their instructors and studio, regardless of experience and skill level. We provide students ages 2 and up with exceptional dance instruction and proper technical training in a creative and positive learning environment. We offer exam classes, recreational classes, and competitive dance programs. Come join our dance family today! STARCHEVSKI SCHOOL OF BALLET INC.
At Starchevski School of Ballet, your student will receive exceptional training with professional ballet faculty run by Kristof Star, former principal dancer of the Alberta Ballet, and Hanna Starczewski, MA, who has a degree in classical ballet. Classes are offered from pre-ballet to professionals for ages 3 to Adult in Vaganova method and Jazz in a state-of-the-art studio. The performances for all students are in Winter and Spring, including story ballet or contemporary repertoire; a cultural treasure for young and old dancers. The Starchevskis have a deep love and appreciation for the discipline, resulting in quality instruction rarely found outside of Europe. Voted Top Choice Dance Studio in Calgary for 2017! Ultimate Dance offers competitive and recreational classes in Ballet, Tap, Jazz, Hip Hop, Acro, Lyrical, Musical Theatre, and Contemporary. Register today. Bricks 4 Kidz combines learning and fun in our hands-on Lego®-based programs for kids ages 3 to 13+. Interactive lessons introduce children to STEM (Science, Technology, Engineering, and Math) vocabulary and principles incorporating real-world objects and cool themes! Participants will take their building to the next level with our proprietary motorized technic models, traditional brick builds, character figures, gallery mosaics, and more. We believe that kids learn best through activities that engage their curiosity and creativity. Our projects encourage imagination and critical thinking as kids are challenged to expand understanding. Classes, Camps, Field Trips, Birthday Parties, and Special Events. Visit our website or 21 community libraries to access free books, eBooks, online resources, printing, and more. Calgary Public Library also offers 11 free Early Learning Centres for young children to learn through play, plus hundreds of free programs for babies, toddlers, kids, teens, and families. Come visit our newest libraries! The awe-inspiring new Central Library opens in the East Village on November 1, 2018, and Seton Library opens in early 2019. Chinese is the most common language in the world. We are the largest heritage language school in Alberta with over 1,900 students. Classes are held on Friday and Saturday at John G. Diefenbaker High School and Sir John A. Macdonald School. We offer Chinese classes, Chinese for beginners, tutorial and extracurricular classes for students ages 2 to Grade 12 with high school credits. Adult classes also available. The Diagnostic Reading Centre of Calgary (DRCC) is a private reading clinic which offers diagnostic language and literacy assessment, intervention, and consultation services for individuals with significant reading, writing, and/or language difficulties. The founding director, Dr. Karen Vavra (B.Ed., M.Ed., Ph.D.), has specialized knowledge and expertise in language and literacy education, development, and assessment with more than 30 years of experience as a special education teacher, literacy consultant, and academic researcher. Engineering for Kids (EFK) puts the excitement in STEM (Science, Technology, Engineering, and Math) education with hands-on-learning for children ages 4 to 14 through fun and challenging activities. EFK is passionate about inspiring children to build on their natural curiosity through our classes, camps, workshops, and parties. From designing and constructing rockets, hot air balloons, and roller coasters to robotics, video game designing, and creating fun objects using Lego® bricks. Sign up today! Estelle Siebens Community Services at Foothills Academy offers a variety of programs and services for individuals affected by Learning Disabilities and/or ADHD in Calgary. Programs include child and youth Amicus Recreation programs; remedial one-to-one tutoring (Read/Write and Math); in-person and online parent and educator workshops; psycho-educational assessments, counselling, and small group programs. We’re open year-round. Financial assistance is available for qualified families. Mad Science of Southern Alberta (1996), the leading science-fun provider, is on a mission to spark the imagination and curiosity of children by providing them with fun, hands-on, educational science programs. Programs include: Science Clubs 4 Schools (lunch or after-school and hassle-free), In-Class Workshops for Preschool to Grade 6, and Out-of-School Enrichment Programs. For detailed information on our Clubs, Workshops, and Out-of-School classes, visit our website or call our office. Read/Write teaches effective proven strategies in phonemic awareness as well as addressing Reading, Comprehension, Spelling, and Written Expression. Students are provided with 1:1 direct instruction and guided practice to apply the strategies taught. Math is based on the Alberta Education Curriculum, often using Chisanbop Math as a calculation strategy. The Read/Write & Math staff are welcoming and supportive. We are open year-round. Financial assistance is available for qualified families. Inspiring and sharing the passion of STEM (Science, Technology, Engineering, and Math) through innovative, hands-on learning. With small class sizes and professional engineering instructors and mentors, we provide a uniquely diverse and inclusive setting where budding scientists (6 to 18 years old) have access to state-of-the-art equipment including robotics, 3D design printing, laser cutters, and much more. Roots 2 STEM offers Junior Engineering year-round study programs, summer camps, science-themed birthday parties, corporate leadership strategic sessions, in-school education programs, and field trip class visits to our 4,000 square foot laboratory. Gymnastics programs for all ages and levels, from beginners to competitive athletes! Our skilled coaches and training staff benefit children and athletes of all types. Experience social development, increased confidence, and improved athletic and gymnastics performance. We also offer dance, Gym-fusion Performance Team, Ninja-gym, GymJump, and a range of specialty programs and fun camps. Safety is our priority, followed by our commitment to offer quality programs that build lifelong athletes. We offer preschool, recreational, and competitive gymnastics and cheerleading taught by experienced instructors conveniently located at Memorial Drive and Shaganappi Trail. Calgary’s longest and most experienced Cheer Program in Calgary. Day camps also available. STAR Quality Programming, STAR Quality Experience. Calgary’s premier circus school for beginners to pros and youth to adults. The Flip Arts training space is one of Western Canada’s best equipped facilities complete with an engineered ceiling grid and professional performance space. Disciplines taught include: silks, aerial hoop, trapeze, Chinese Pole, trampo wall, teeterboard, and acrobatics. Former competitive gymnasts, trampolinists, and dancers can have a challenging and creative outlet after retirement! Exceptional gymnastics-based programs at affordable prices for toddlers to adults and beginners to pros. Gymnastics, Circus, Trampoline, Ninja Warrior Obstacle Training, Parkour, Stuntman Training, Birthdays, Sleep-Overs, Homeschooled Classes, Drop-in Play Space for 1 to 5 year olds, and there is a café on-site. Unleash your Inner Ninja! InjaWarrior and InjaNinja are two, 6-week programs designed to introduce youth to the fun side of being fit and active. Participants will build resilience and confidence while developing a wide variety of movement skills and overall athleticism. Come experience the power of play! For more information and to register, visit our website. Protect Your Lunch Money! Want your kids to learn respect and self-defence? Join our rapidly growing Muay Thai/Kick Boxing and Jiu-Jitsu Program. Classes year-round, six days a week. Tailor them to fit your busy schedule. Professionally-trained instructors provide positive reinforcement techniques and confidence-building strategies. Our classes are fun and safe for all ages, 4+. Try us out completely Free at Champion’s Creed Martial Arts. Judo is an Olympic sport and is derived from the ancient arts of unarmed combat. It is a martial art that has been made into a sport so that the art may be practiced without being injured. Judo teaches discipline, confidence, and respect. Established in 1957, we are the oldest, continuously operating martial arts club in Calgary. We offer classes for children and adults. Master Rim’s Taekwondo is the leading provider of Martial Arts in Alberta with world-renowned instructors and programs. Our programs teach discipline, focus, commitment, and the values of hard work and self-control. Led by Canadian National Team Head Coach, Master Seoungmin Rim. We’re dedicated to helping students become the best they can be! We guarantee, learning Taekwondo at Master Rim’s is truly rewarding with benefits to last a lifetime. Master Joo-han Cha, 6th-degree black belt, M.Sc., B.Phys.Ed., combines his competition success, coaching experience, and academic credentials to offer year-round, high-quality Tae Kwon Do classes for all ages (3 ½ years+) and all abilities. A four-time Korean National champion, Master Cha has the competition and coaching background to build future champions, as well as the energy and enthusiasm to lead classes children and parents will love. If you love to sing or would like to learn, check out the Calgary Children’s Choir. This unique choral experience offers children ages 3 to 23 the opportunity to sing, perform, and appreciate a wide variety of musical styles. Tuition and other fees are among the most reasonable in the city, and fundraising by parents is optional. Giving young women a voice! The Calgary Girls Choir has been providing exceptional vocal training along with performance and touring opportunities since 1995. They are an award-winning and internationally-renowned choir dedicated to inspiring and empowering young women through music. Quality repertoire and a child-centered approach are the foundations of the program for girls ages five to University. They offer training in vocal excellence and artistry, exciting performance/touring opportunities, and aid in the development of important life skills nurtured in a close-knit community. The Calgary Music Academy has been providing in-home private music lessons since 1995. We offer classes in piano, violin, guitar, voice, flute, and theory. Classes are for all ages, levels, and we teach all genres of music. We prepare students for the RCM exams and will help you get extra high school credits. Register before September 1 and we’ll take care of your registration fees! For more information, call 403-615-3180. Come sing with us - the music experience of a lifetime awaits! Cantaré Children’s Choir invites boys and girls ages 6 to 18 to join one of our four award-winning ensembles. Artistic Director Catherine Glaser-Climie believes in enriching the lives of children through the power and wonder of music. Younger singers, ages 3 to 6, are welcome to join our Kodály early childhood program. No prior musical experience necessary! The Kodály Music Explorers program for children ages 3 to 7 offers a fun-filled approach to your child’s music development. Using the child’s own instrument, the voice, children learn songs, rhymes, and musical games to acquire knowledge and skills, and a love of music. You will be thrilled at how quickly your child can progress and parents have tons of fun, too! Providing private music lessons since 1979. Professional instruction is given for most instruments as well as voice. Music Mom’s Color Method (M.M.C.M.) is an exciting course where kids can learn to read music in color! We introduce rhythm, patterns, and composition in a fun, interactive environment from ages 3 ½ and up. Junior Music and Percussion courses for ages 3 ½ to 5 in groups of up to five kids. Group Keyboard classes for groups up to four. Private lessons starting at age 5. Materials included with registration. Kids have a great time using stickers, color, and percussion to learn and love music. Music lessons for ages 5 and up. Two locations offering piano, organ, keyboard, and accordion since 1979. Popular, classical, and theory programs with exam preparation from qualified teachers. Private and semi-private classes. Beginner’s trial program also offered! Call for more information or to register. Kids make great music! Music makes great kids! Kids & Music is an innovative, dynamic, child-centered program with a fun approach to music education. No auditions, no fundraising, small classes, and a unique curriculum instilling a lifelong love of music. This four-level program is the first step in the Youth Singers of Calgary Performing Arts Company with divisions covering all ages, from 3 to 93. Register today! We offer music lessons for all ages. The Lydian Studio of Music is accepting new students in Piano, Guitar, Ukulele, Voice, Violin, and Cello this winter season! Join our studio community with exceptional instructors that accommodate all learning styles. Whether your student is interested in attaining RCM titles or enjoys a more contemporary approach, we make lessons a fun and supportive environment. Group classes are also available for beginner Guitar, Ukulele, and Cello. MRU Conservatory is Calgary’s premier music and speech arts school. Explore a diverse offering of programs with world-class instructors in the state-of-the-art Taylor Centre for the Performing Arts. Classes include Music with your Baby, Kodály, Orff, Early Childhood Strings, and more. Sign up for private lessons and performance ensembles for all ages. Mount Royal University Conservatory: for every stage. At Music for Young Children®, we encourage children to be more creative, inventive, imaginative, and expressive through our keyboard-based music education program. We provide kids with a unique set of skills that will stay with them throughout their lives. Whether it’s improving their grades, enhancing coordination skills for their athletic activities, or to learn the rewarding skill of playing the piano, MYC is the first key to getting them there. Musikgarten is a sequential music and movement program that develops all aspects of your child’s growth in a fun, nurturing, and educational setting, for ages birth through 9 years, including group piano. Enrich your family life as your child explores and learns through singing, dancing, listening, playing instruments, and more in age-appropriate classes. Come for the fun and learn of the benefits music has to afford your child. Solfeo Music Academy brings better music to the world one student at a time. Different students require different teaching approaches. Make sure that your student has the option to select the learning style that is best suited for them. We offer 30-minute, 45-minute and one-hour lessons, private lessons, and 45-minute group lessons. Our music teachers have university training in the instruments that they teach. Register now. Youth Singers delivers a leading-edge professional curriculum encompassing choral (from classical to contemporary pop), musical theatre, and a wide variety of dance styles. Our artistic team includes over 50 outstanding educators, directors, arrangers, composers, choreographers, and dramatists. Youth Singers of Calgary is a Performing Arts Company with divisions covering all ages, from 3 to 93. Register today! The Calgary Zoo hosts a variety of family- and kid-friendly programs including camps, birthdays, sleepovers, and school programs. These programs run year-round and offer an opportunity to experience our animals and wild spaces like never before. Join us to create memories that last a lifetime! Granary Road is a place where families and friends come together to enjoy the good things in life. Granary Road consists of a Public Market, Greenhouse, and Active Learning Park geared around educating children on agriculture and sciences. Here at Granary Road, there is something for everyone: the animal lovers, the food fanatics, the science enthusiast, the growers and the gardeners. Prepare yourself for a day full of fun and adventure! An award-winning field trip destination, explore Studio Bell, home of the National Music Centre, a landmark attraction in Calgary’s East Village. Studio Bell is more than a museum with five floors of exhibitions, historic musical treasures, daily live demonstrations on the famed Kimball Theatre Organ, and interactive activities that allow visitors to rock the guitar, mix a track, or sing a tune in a sound booth. For more information, visit the website. 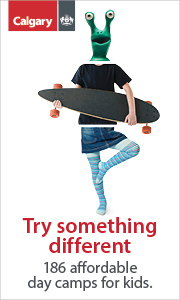 #GetMovingYYC! The Fall Recreation Program Guide is filled with hundreds of fun and affordable programs for all ages and abilities. Arts, fitness, swimming, sports, dance, skating, and more! Pick up a copy of the Fall issue or browse online. This Fall, keep the kids active in the pool. Group swim lessons start at 4 months, private lessons offer a more customized approach, and SwimAbilities is designed to support swimmers with special needs. For something different, check out Mermaid School. There’s the Junior Masters Swim Club for more advanced swimmers, and older kids may be ready to train to become a lifeguard. Trico Centre for Family Wellness wants your family to be #tricotough and active! Come swim with us in our wave pool with waterslide, water features, hot tub, and steam rooms. We offer many children’s programs: skating, swimming, dance, gymnastics, and martial arts to teach children fundamental movement skills, confidence, and how fun it is to be active. Huge, clean fitness centre, bright pool, hockey arenas. We offer activities for all ages! Looking for a great way to stay active this Fall/Winter? Try UCSC’s FitSwim! Our new program, run out of the Shane Homes Rocky Ridge YMCA, is a great way to improve your swimming technique and endurance. A certified coach will instruct and help with stroke technique. Sessions are Mondays/Tuesdays, Youth (ages 12 to 17) from 6:15 to 7:15pm, Adults from 7:15 to 8:15pm; and Saturdays, Adults from 7 to 8am and Youth from 8 to 9am. Session 1 starts September 17, 2018! We want your kids to be active and imaginative! Vecova Recreation Centre offers fun classes and activities for children including preschool programs, birthday parties, and more. Our programs help your child build confidence and develop fine and gross motor skills in an exciting, welcoming, and inclusive environment. Classes include Little Athletes, Hip Hop (Hooray! ), SuperHero Club, and more. Come see for yourself! Learn more on our website. From swim lessons and day camps to triathlon swim and boot camps, we have the programs and facilities to keep your whole family active. Join us and our active community at one of our six (soon to be eight) health and wellness facilities, five childcare centres, or two outdoor campsites. Everyone is welcome at the Calgary JCC, where we offer programs for the entire family! Check out swimming lessons in our newly-renovated salt water swimming pool, martial arts, dance, sports, fitness, and rock climbing classes. Looking for an accredited and licensed daycare, a licensed after-school program, or an accredited seasonal camp? 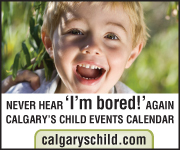 Calgary JCC’s got it, and much more! Located in wooded hills west of Calgary at Exit 143 off the TransCanada Highway. Riding lessons for all ages, school horses, horse boarding and training, and there are horses for sale. Amicus Recreation programs are designed specifically for youth (ages 8 to 16) with Learning Disabilities and/or ADHD to provide opportunities to learn new skills, socialize, and gain self-confidence. A wide variety of activities (technology, sports, arts - to name just a few) are offered. There’s something for everyone! Programs are led by our mature, trained staff who provide a welcoming, supportive environment. Financial assistance is available for qualified families. Calgary’s two best and biggest indoor climbing facilities offer friendly staff, varied terrain, birthday parties, beginner lessons for all ages, kids’ climbing camps, youth and adult drop-in times, junior clubs and teams, corporate team-building, basic to advanced instruction, movement clinics, private coaching. There are two convenient locations in Calgary (Stronghold NW and Chinook SE). Calgary Elite Synchro is Calgary’s boutique synchronized swim club. We have won Synchro Alberta’s Small Club Award for many years due to our small club/big results philosophy. We train girls from ages 6 and up to be part of a team and to perform and compete with pride. Our athletes have won numerous awards throughout all age groups. Synchronized swimming is the ultimate sport combining athletics, grace, and a true team atmosphere. We swim at the Eau Claire YMCA and at Repsol Sport Centre. If your little one loves the water, we would love to hear from you! HORSES R COOL RIDING SCHOOL LTD. Year-round horse programs for very young to adult enthusiasts. Special needs individuals or groups welcome. Our specialty is our Summer Day Camp as well as our Fall, Winter, and Spring programs which offer group lessons for all ages! There are family lunch-and-learn rides, birthday parties, and adults-only activities. There is something for everyone. Professional, friendly staff at your service. Come make a friend! Infant Swimming Resource (ISR) Instruction’s unique results are achieved through fully customized, safe and effective, one-on-one lessons with only your child and the Instructor in the water. What your child will learn and the way they will learn it is what makes ISR so different from traditional swimming lessons. Always putting safety first, ISR emphasizes competence, which leads to confidence, and provides the foundation for a lifetime of enjoyment in and around the water. Come skate with us! The LBFSC has offered official Skate Canada programs for over 30 years. Whether your child is a beginner or wants to develop their skills further, we have the program! CanSkate is for all levels of recreational skating. CanPowerSkate will help hockey/ringette players improve their performance, and STARSkate is for those interested in figure skating. All programs are taught by our NCCP-certified coaches and registration is ongoing. For more information and class times, visit our website. Physical Literacy starts here! Monkeynastix is a fun and challenging fitness movement education program, developing fundamental movement and sports skills in children ages 16 months to 12 years. Monkeynastix is completely mobile and brings its specialized equipment directly to your child’s preschool, recreation centre, community hall, or birthday party venue. Visit our website for online registration for public classes and camps, or contact us for in-school programming and birthday parties. Be sure to check us out on Facebook, too: Monkeynastix Calgary. SAIT Trojans Recreation offers a variety of children’s programs including Zumba Kids, Capoeira, Red Cross Swim Lessons, PD Day Camps, Teacher’s Convention Camp, and Spring Break Camp. Or have SAIT Trojans Recreation plan your child’s next birthday party. Choose a bowling party, swimming party, yoga party, Zumba party, or Trojan game day party and let SAIT Trojans Recreation take care of the rest! Calgary Young People’s Theatre is proud to present our exciting lineup of Fall and Winter Drama Classes for youth ages 4 to 17! Join us as we explore exciting theatrical techniques and skills through various dramatic exercises and games. Our classes provide a unique opportunity for kids to build confidence and teamwork skills, all while having fun! Looking for a creative outlet? Do you want to develop your inner artist? Join us for our private and group classes in art, dance, drama, and music! Puppet Pop-Up Studio is a monthly puppet-making and performing workshop on the third Saturday of each month at different locations in Calgary. We actively promote all family members, youngsters (4+) and elders, in creating art and drama together, and we accommodate all skills and ages, with a different theme each month. For more information and to purchase tickets ($10 per person or $35 for groups of four to six), visit wppuppet.com.